If you’ve ever joined in the course walk and watched everybody purposefully striding around while you simply stare anxiously at the fillers and desperately try to remember where fence five is, you’re not alone! Though the idea of the course walk is to orient you, not intimidate you, it doesn’t always work out that way in real life. 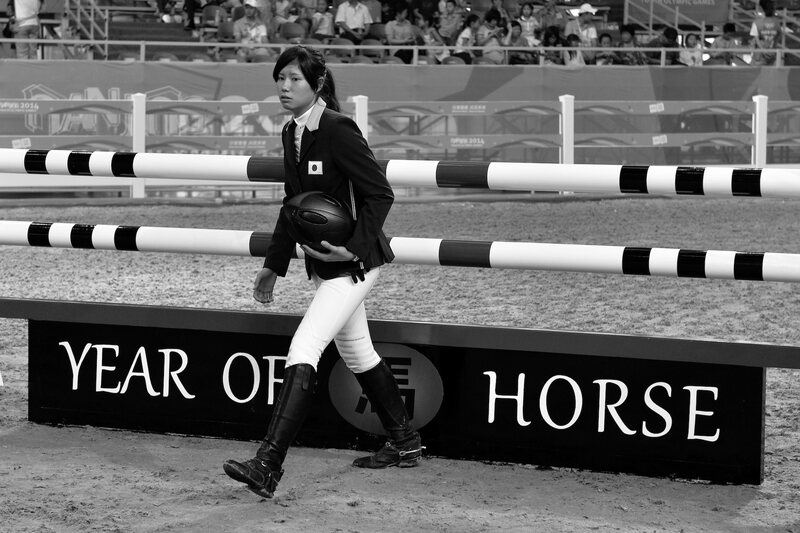 Arm yourself with these tips so that next time you find yourself walking the course at a jumping show, you can use the course walk to your advantage and go in to your round feeling confident! Before you walk into the ring, it’s essential to have a goal in mind. Are you trying to win the speed class? Is your only goal to have a clear round, no matter the place? Do you just want to get over the whole course without falling off? Or are you going to let an inexperienced horse learn his job, even if it means knocking a few poles? All of the above will change the way you ride the course and the risks you’re willing to take in terms of approach, turns and distances. While things might not go exactly to plan in the ring, it’s always good to have your ‘ideal ride’ plan in mind. So if you’re walking a combination or related distance, position yourself at the point of the first jump where you want to aim to land (normally the middle, but this might change for a jump off course for instance!) and walk the exact line you want to take, right up to the next fence. This tip is especially important on curved lines, as straying from the line you’ve walked could add in or take off extra strides. So if you’re planning on taking the inside line during a jump off, walk that line rather than the safe middle one so that you know what ride you’re going to need to get there safely and easily. Look at where your horse will enter the ring, where you’ll canter your circle before the first fence, and any spooky or distracting parts of the arena that your horse is likely to take notice of. This might be a fence with a scary filler underneath, a fence where you’re jumping from the sun into shade, or external factors like judges’ boxes, grandstands, or banners. If you know your horse is likely to want to drift towards the arena gate or shy away from the horseboxes parked on one side, make a mental note of where they are and be ready to correct the behaviour before it happens. There’s no need to walk the course multiple times. Do it once properly, and then take a couple of minutes to stand in the centre of the arena and go over everything in your head. Make sure you know where the start and finish flags are, that you know what order the fences are in, and that you know how many strides and what lines you plan to ride between jumps. If you get nervous right before you jump and fear that you might lose your way, then leave the warm up ring a few minutes early to watch 2 or 3 rounds and refresh your memory before you go in.